In order to allow yourself, the commodity of having the essentials on hand, and yet feel that your stuff is safe even from jumping into the water with it, having something like the best dry bag is crucial for almost every outdoor activity. There is no lack of choices on this subject, except maybe there are too many alternatives to choose from. Choosing the suitable dry bag among all the alternatives requires a lot of knowledge and experience. However, every person has its own habits and own feature priorities when it comes to this subject. 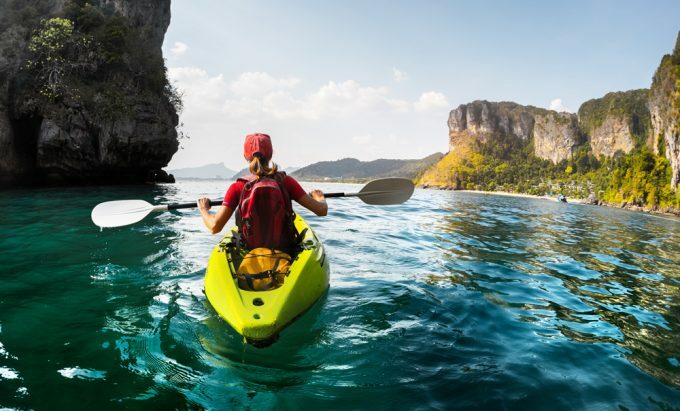 Before starting your search for it, you should plan your activities well, put this item on your list, and get familiar with the main features that might be helpful for your outdoor activities. Many would say that making the right choice is a piece of cake. The truth is, this industry has evolved so much that a guide is needed in order to choose among the offered options and manufacturers. This article will help you do precisely this. It will help you find the right dry bag for you, especially if this is the first time you are shopping for one and haven’t got a clue where to begin. When searching for a dry bag, there are some characteristics that you have to go through, but you probably don’t quite understand them. That is why owner’s reviews are so important. They have the first-hand experience with the product and can easily guide you through the advantages or disadvantages. There are different material types and each one of them favors different features. Some materials are more durable, some are lighter, and some are more flexible and pleasant to touch. Strong bags that carry heavy gear are made of vinyl. Nylon has more flexible properties. The polymer material is a rubbery type of material suitable for waterproof bags. There are some outdoor activities that plead for floatable bags since it might be accidentally dropped in the water. Others require lightness, like backpacking for instance. Every backpacker knows that on a long destination, every pound matters. And if one tries to keep his essentials to the minimum, why not look for a light, dry bag? Every dry bag should have a good sealing system that doesn’t allow water to come in or out. There are two types of closures, zipper closure, and a roll-top. Since the roll-top closure is more effective, consider buying this type of a bag. 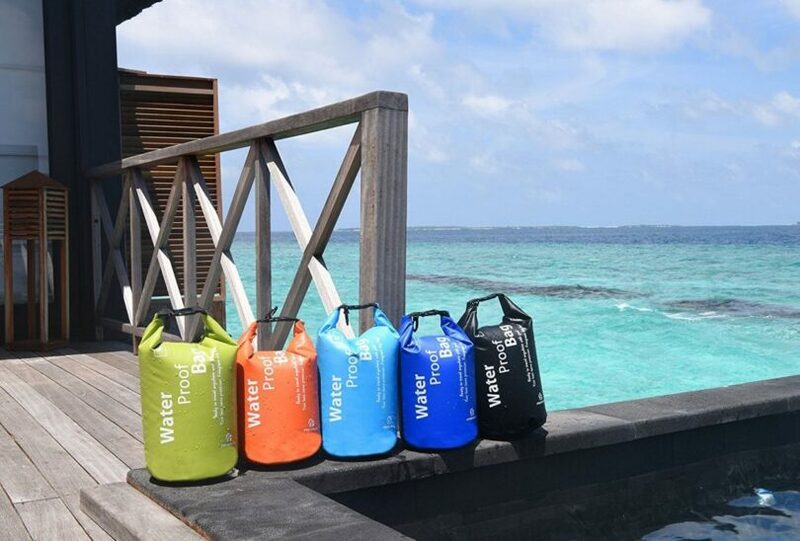 All dry bags are supposed to be waterproof, but some of them can be submerged under water, while others can only endure heavy rain or water spraying. This feature is decided by the combination of material and closure method. This is a convenient feature you should consider if you like to attach your dry bag to other packs. We have now arrived at the part where we will review several of the best dry bags on the market. Surely, one of these will tickle your fancy, and you can have a nice new bag that will keep all of your items dry no matter the weather! Description: The Sea to Summit Big River Dry Bag is specialized for those who avoid burdening themselves with heavy equipment. Its outside is made of nylon material and it is perfect for outdoor activities that find the humidity as their number one enemy. In addition to this water-repellent material, it is reinforced with permanent waterproofing fabric- TPU laminated fabric. 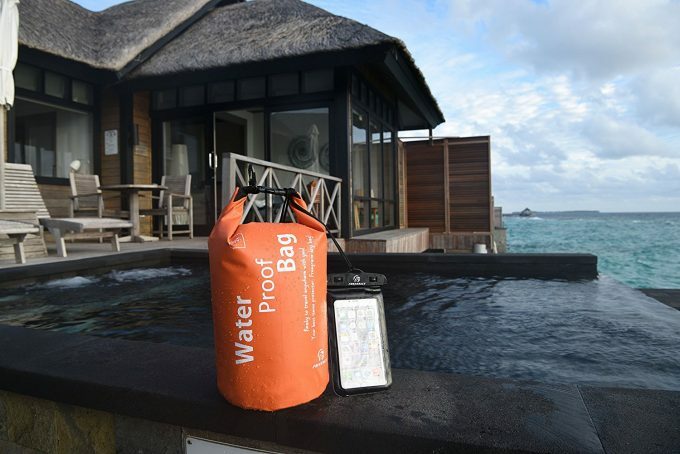 It allows the bag to be used in water sports and there are even some reports that confirm that it remains waterproof even if held under water for 20 minutes. If you prefer backpacking on longer destinations with heavier gear, this is not the choice for you. If you load it heavy, the fabric can be durable for some time, but it will eventually fail. It also has reinforced and easy to strap loops which can make your hiking much more comfortable and the weight easier to haul. In reference to the volume, it has plenty of room for all your necessary gear. The main downside to consider is its price. 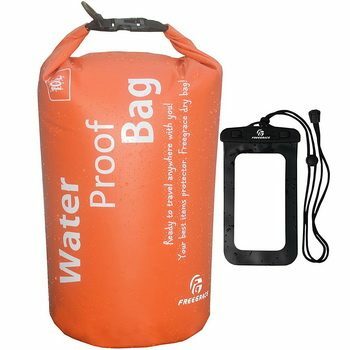 It has great quality and durability, but it is a bit pricey compared to other dry bags from the same category. Although this is a relative statement, since it all comes down to the usage requirements. Related: While you are out in different types of weather, you can consider bringing along a towel that will dry quickly. The Sea to Summit DryLite Towel is affordable and will dry quickly! 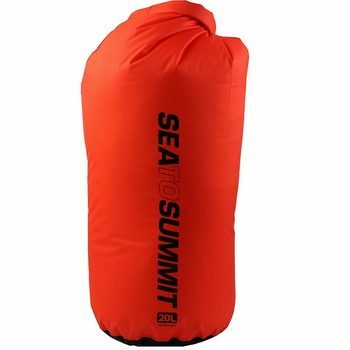 Description: This lightweight Lightweight Dry Sack from Sea to Summit is the perfect choice to use for backpacking if you are looking for something with a great price and great size. However, if you are looking for durability, this might not be the right choice for you. The lightweight dry sack is made of a very thin nylon waterproof material that is good for keeping your items dry, but not an obvious choice if there are sharp objects around. Although if you are looking for something less expensive, Sea to Summit also offers repair products, so if it accidentally tears somewhere, you can always fix it. This dry bag is not recommended for long backpacking trips because the material wears thin eventually and doesn’t hold air. The positive thing though is that it has just the right price for the intended purposes. It also has a bonus feature, locks that work like a handle. This might come quite handy on occasion. 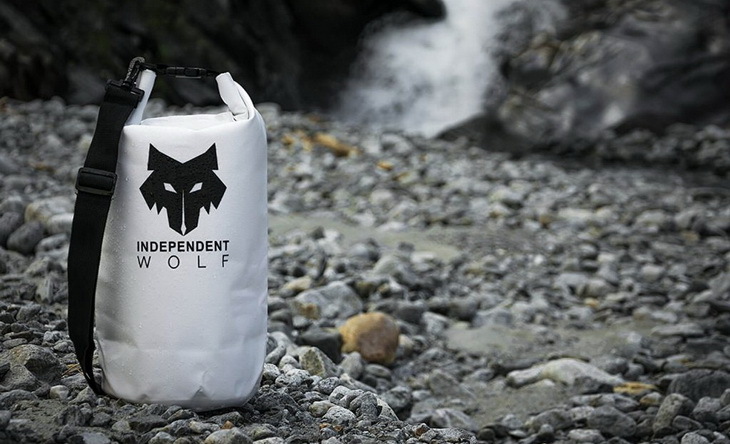 You can even use it as a laundry bag when backpacking. It is tough enough to be filled with water. As an addition, it holds a great amount of stuff and is very well constructed. Related: While out in the wilderness, you could consider taking along a water filter system so you have clean water to drink and cook with. The Sawyer Products PointOne Water Filter System is not that expensive and it removes 99.99999% of all bacteria and protozoa. Description: Seattle sports can show off with is its durability. If you are looking for a backpacking or biking bag that will last you for ages look no further. Seattle Sports Glacier Dry Bag has a reinforced side wrap that increases its durability and makes it stronger and thicker than any other dry bag out there. If this is your main preference, this might be the best dry bag for you. As far as rain and humidity go, this bag will keep your things dry. 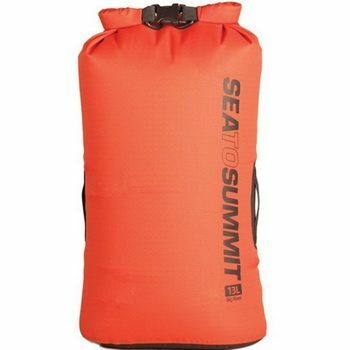 It can even endure some time in the water, but not too much as the Sea to Summit Big River Dry Bag. As with every other dry bag, it is recommended that you keep the electronics in an additional protective cover, just in case. However, you might want to do some more research if your budget is limited, because although it has good quality, it is a bit pricey. The main downside of the Seattle Sports Glacier Dry Bag is that it is stiff. This might not mean so much to you, but it is worth mentioning that the material is hard and rigid and it sticks to itself. 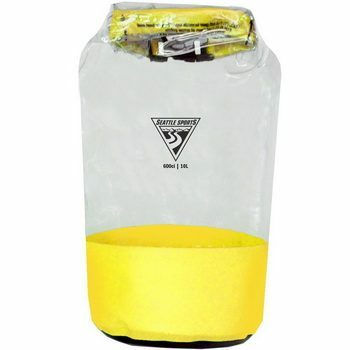 If your main goal is to buy a dry bag with excellent quality, you can probably deal with the stiffness. An additional benefit is that is has a D-ring for attaching to bikes, boats, and other packs. Related: In case your dry bag does get submerged in water, it is a good idea to have some utility bags so your phone, keys, and food does not get wet. The Texsport 15990 Pouch Utility Bags come in 3 sizes and will keep all your valuables protected. Description: Outdoor Research 36895 Dry Bag is probably the one dry bag designed and created especially for backpacking. It is light as a feather and it keeps your critical belongings dry even in heavy rain. Double roll-top closures provide an extra layer of protection and ensure that it is submersible, at least for a certain period. 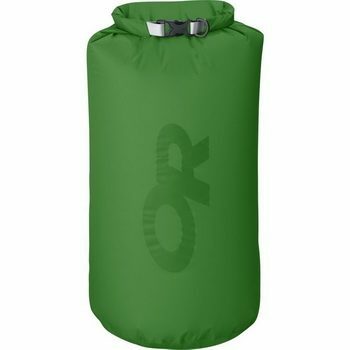 It has a D-ring if you want to use it as an addition to other packs, and it would definitely be of use in camping trips since it has so much space and it is tear resistant. The bag is so soft and comfortable that you can use it as a pillow for a night in a pinch. Its main disadvantage is connected to its softness because the risk of abrasion is greater. If you can manage around this, it will last you for ages and will exceed your expectations. Another benefit is its price. Compared to Sea to Summit dry bags from the same category, Outdoor Research produced a slightly less expensive alternative. This quality associated with this price is hard to beat. Related: When you are outdoors, you might find yourself in some rainy weather. The Rain Mate Compact Travel Umbrella is light in weight, perfect for any type of use, and have an automatic open and closing feature. Description: This Unigear 600D Dry Bag is perfect for water sports it has proved itself as waterproof and it even has an extra case for your phone. However, we wouldn’t recommend it for backpacking, especially for long tours since it isn’t so comfortable. Now if it had a strap for the waistline that would be a different story. 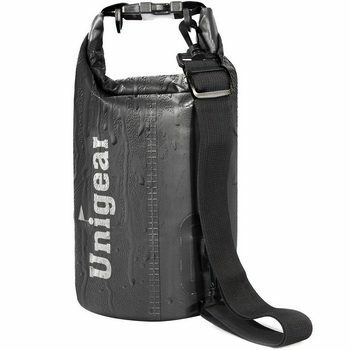 Nevertheless, the 30L and 40L dry bags from Unigear have 2 straps and that puts them on top of the list. Even though its material is strong, this bag is unexpectedly light. And the sealing goes like in every other dry bag, nothing complicated. As far as the price goes, it is a great quality for that price. These dry sacks come in a huge variety of colors, so you can choose your favorite. There is a waterproof guarantee and it comes with a removable and adjustable shoulder strap so it will be easier to tote around! Related: For those who like a little excitement outdoors, having a bungee dock line can be useful. The Airhead Ahdl-5 Dockline comes in various sizes, absorbs shock well and prevents chafing. 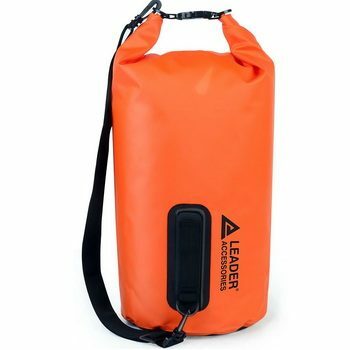 Description: If you are looking for a backpacking dry bag, you would not find this Leader Accessories B00EEZ2 Dry Bag suitable for you. However, if you are camping or doing some water sport, and you want to make sure that the bag you choose will 100% keep your belongings undamaged, that look no further. The material is so strong, that even when you are holding it in your hands you are certain that it will keep your things safe. An interesting thing to mention is that if it falls in the water, it doesn’t sink, no matter how heavy it is. Instead, it floats safely waiting for you to catch it. Probably the main downside to this bag is the strap. It is adjustable, that is the good news, but isn’t padded at all, so it is not too comfortable if you are carrying it longer. This is the best waterproof bag for electronics and it doesn’t even need an additional cover. All things considered, it is a strong, durable dry bag for suitable and maybe even below the value price. Related: Many people like to participate in various activities outdoors. That is why the GCI Outdoor 21010 Canoe Seat can be helpful. It folds up simply and you can take it anywhere! 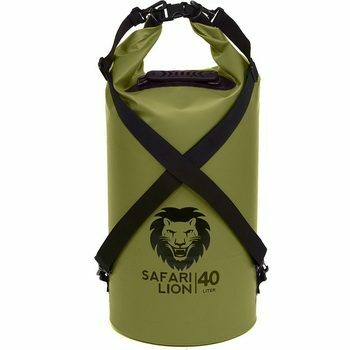 Description: It is safe to be assumed that this Adventure Lion Safari Dry Bag is kind of an upgrade to the Leather Accessories dry bag. Its main characteristics and the main advantage are the same – the toughest on the market, material that will protect your belongings and keep them dry. The upgrade part is that this dry bag alternative offers also ergonomic features, which was the downside of the previously reviewed model. It contains a second strap and converts into a backpack. Now this is a game changer for some. It means that it is also suitable for backpacking, unlike the tough Leather Accessories dry bag. However, the most interesting feature in this bag is that it is able to float. If you accidentally drop it into the water, it will float until you safely return it to land. It is not advertised as a light, dry bag, but it really is light. It weighs about 1 pounds, and it is very comfortable for backpacking. In case you decide to go with it, be careful of the colors, it is one color on the screen, if ordered online, and yet another when delivered. Yet the unsurpassed quality of this product remains its material. It is the finest material available – pure grade Y7 500D polymer. The material is strong enough to resist abuse, but also soft textured and flexible. Related: For extra light in any space, the E-TRENDS B01KW2 LED Lantern is great for camping, and is portable. 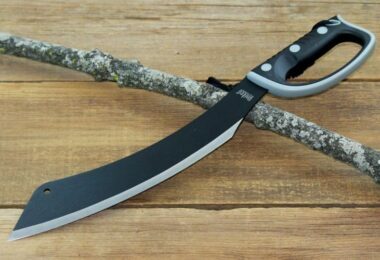 Plus, it will hook inside of your tent! 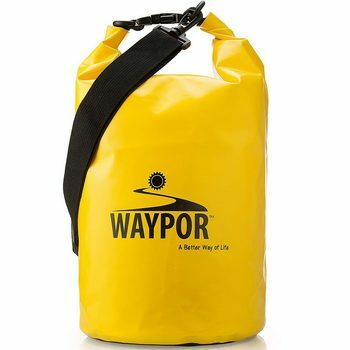 Description: What is best about this the best waterproof dry bag from WAYPOR B00RAO Dry Bag is the seal. On most dry bags, this is rather complicated and because of that, many people get their belongings wet even if the bag is waterproof. There is no space for such mistakes with this dry bag model at all. It can be easily rolled down a few times and then clipped. However, if you are one of those people who easily lose their stuff in the water, this is not the item for you. Although it does endure heavy rain and water spraying, it is not to be submerged in water although it says waterproof. If by any chance you believe that the material makes the bag, then the Adventure Lion dry bag might be a better choice for you. All things considered, this is the perfect bag for camping; it is durable, tough and very secure. Related: When in the wilderness, you want to be safe. Having the Shoreline Marine SL52283 Survival Whistle will alert others to an emergency with its loud sound. Description: This Freegrace B06XVB Dry Bag comes with an extra phone case included in the bag, which is very nice, but it gives the impression that it is not submersible. Although it is not recommended to stay under water for more than a few minutes, it will certainly pass the test. If dropped in water, it floats; even if faced upside down, thanks to the effective seal system, it will still remain waterproof. Because of its rubbery material, it is more suitable for water sports. 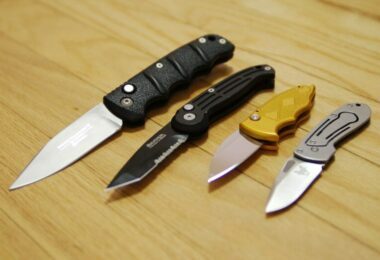 However, its lightness qualifies it for backpacking also. While it can seem a bit heavy to some, it does do a great job at keeping your items dry. You can use it for various types of sports and activities. You can not put it under water, but you do not have to worry about your items getting wet if you are on the dry land. Related: If you plan on swimming, consider a life vest! The ONYX MoveVent Dynamic Paddle is comfortable to wear and loved by users who have tried it out! Each and every one of these products has different features and is best to use for different activity and personality. It is important to thoroughly research every alternative you feel comfortable with before making your final decision. Whichever dry bag you choose from this list, make sure it is according to your own preferences and tastes. Have you used some of these dry bags before? Would you like to add something to this list? Share your thoughts in the comment section below or share the article with a friend interested in dry bags.